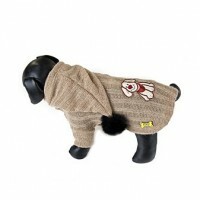 Established in spring 2011 BuBu 7 is a brand name for dogs and cats product. Our idea is to manufacture products for our four-leg friends that would fully comply with all the required criteria. This means elegance, style, precise manufacturing as well as materials. 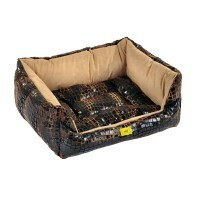 Our products include dogs and cats’ beds, suits, collars, blankets and bowknots. All these products are made of fabrics and leather produced in Italy. We select all the materials personally, directly at the producers place and pay close attention to the quality, consistence and colours. All the materials must comply with EU standards. Our products are exclusively hand-crafted and being produced in the Czech Republic. We anxiously follow every step in the production process and final product must be presentation of a precise work of our couturieres. Since we often use hydro-repellent materials, some of our products, as for example beds or suits, are completely resistant to water and dampness. Products are therefore easily washable. The suits designs would fully meet every need of your sweethearts as well as yours. We can offer also cardigans, waterproof warm jackets or lighter cloaks as well as sport or elegant and trendy apparel. Selection is great and ready to fit to any climatic conditions. Through the BuBu7 project we aim to achieve high quality of manufacture production; we pay close attention to the articles variety stressing the right ratio of price and quality. We believe that by doing so we can satisfy requirements of all our clients. The complete range of our products can be found in our E–SHOP or in the most prestigious shops in the Czech Republic and worldwide. MODEL BOLZANO – Very becoming trendy cardigan. Suitable for smaller breads. Every such cardigan is supplemented with a hood in extraordinary shape with a pompon. Embellishment is further extended by embroidery with dog’s motive. It is possible to supply this trend model without pompon or embroidery too. This model is made of really warm wool. There is a Lurex (golden yarn) interwoven into the wool. Sleeves on the forelegs would keep your dog nicely warm. This kind of wool does not itch or scratch. It is soft and tender and feels as a second skin. Material has been selected by our staff and imported from Italy. It has been inspected and assorted according to the relevant criteria. Product was hand made by Czech needlewomen in the Czech Republic. You can find more products like this at our e-shop. Massive leather collar made ​​of two-ply 100% leather. Total length is 65 cm adjustable to 50-58 cm. Collar width is 5 cm. Leather dog collar is handmade in the Czech Republic. MODEL ROMA – Extravagance?! This is the word that speaks for this model. Becoming, still non-conservative style, perfect for the smaller breeds. Glossy material which cannot be overlooked nor can be the owner of this coat or his two-leg friend. Suitable for down-town, but also for bad weather walk. The upper material of this coat is 100 % waterproof. The lower part is made of fur with medium size hair. 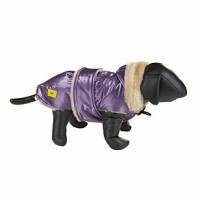 This fur coat is really warm and protects your dog from cold. Both materials used for this model are made in Italy. Imported and selected by our team. This model has been hand made in the Czech Republic. Leather collar with a total length of 30 cm with adjustable length to 22-27 cm. Width 2.60 cm, which gradually narrows to 1.5 cm. The collar is made of two-layer 100% leather. 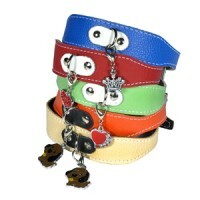 Leather dog collar is made by hand in the Czech Republic. Pendant of dog collar can be changed. Browse our offer of pendants collars. BED (code 40207) – Comfortable place for our friends to rest, provides cosy stay in any environment. This bed ensures sweet dreams ever and everywhere. Materials used are anti-allergic and shall stay free of parasites. Exterior is made of glossy parts. Crocodile effect. Interior is made of alkantra, fabric of high quality used also for upholstering in automobiles of prestigious marks. Bed interior is therefore formed by a padding that at the same time maintains the shape and compactness of the bed. 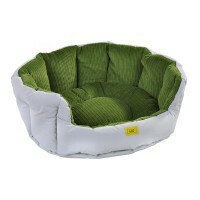 This model is manufactured in three sizes: S, M, L . The cushion is double-sided and removable. Cleaning of the bed is very simple. Wiping with a wet cloth from outside would be sufficient, followed by cleaning of interior with upholstering foam. Made in the Czech Republic from Italian fabrics. BED (code 40211) – How to enjoy sleep and a rest? This would be the right type of bed for it. Resistant and soft at the same time, would fully secure our sweethearts relax. Materials used are anti-allergic and shall stay free of parasites. Exterior of the bed is made of material that is waterproof and wetness resistant and which is at the same time permeable. Interior is made of pleasant cotton of Manchester type. Bed padding would keep your dog comfortable, while retaining shape and compactness. This model of bed is manufactured in three sizes: S, M, L. The cushion is double-sided and removable. Cleaning of the bed is very simple. Wiping it with a wet cloth from outside would be sufficient, followed by cleaning of interior with upholstering foam. Made in the Czech Republic from Italian fabrics. 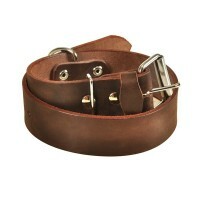 Collar (code 30158, brown, last but one in the row) – Massive collar made of genuine leather. Trend, which stays forever. Solid and resistant. Suitable for larger breeds. Collar made of quality genuine leather. This leather does not crack or break and endures high loads. It does not smell when becomes wet and does not damage. The buckle has classical shape and is made of classical rust free metal. Therefore the collar feels comfortable for your dog too. The collar is available in two colours: brown and black. It is handmade, which means really high quality. Precision and strict procedures are closely followed during production. Made in the Czech Republic. COLLAR ELEGANCE (code 30118, with stones) – a collar for demanding and ambitious owners. Would suit also to your four-leg sweethearts that would like to parade with shine and glamour of this fashion accessory. This collar has cut hearts decoration on its whole circuit. It is suitable for small breeds, min. length 30 cm, max. length 35 cm. 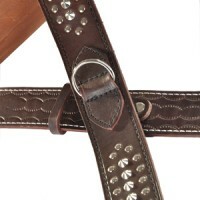 Tip of the collar is formed by a buckle inset with stones. Production is based on manufacture precision that outdo any machine work and which makes every such product unique. 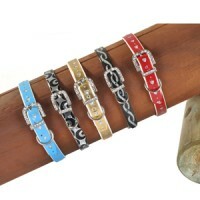 Collars are made in four colours: gold, silver, blue and red. Leash of the same colour belong to the collar naturally. Made in the Czech Republic. Our products can be bought by wholesale as well as retail customers. Price list shall be provided after registration of your data and their verification. Minimal purchase must be CZK 3 000. Should the purchase sum for goods exceed CZK 7 000, discount of 3 % will be provided, CZK 10 000 – discount 5 %, over CZK 20 000 – discount 8 %, over CZK 30 000 – discount 10 %. The products can be seen personally in our showroom at Sažinova 763 , 39901 Milevsko after an telephone agreement, or visit can be agreed in your company seat. We shall be pleased to show you the samples which you are interested in.